I’ve got a couple things I want to cover. Stuff about Letters to Elise at the top, and some news at the bottom. Letters to Elise went on sale yesterday, and it’s already garnered five 5-star reviews. It’s only $.99 at Amazon and Barnes & Noble. I’m going to be “off” from today at 3:00 pm until Monday at 8:00 am. I don’t know what that means exactly, except that I won’t be writing and I’m trying to spend some time away from the computer. So if you email me or message me or what have you, I probably won’t get back to you until Monday. And I think I’ll be able to give you some info about Ascend next week. Not a release date yet, but at least some idea of what’s happening with it. I’m glad you liked my review, Amanda. Peter really needs his own story. One of the marks of a good author, any reader will tell you, is that the writer makes you feel. If you don’t ‘feel something’ about the character–well, to be blunt; it’s not a good character. No one will ever be able to say that about your characters. I think I found your books via H.P. Mallory–and I’m glad I’ve been able to read and enjoy both of you. 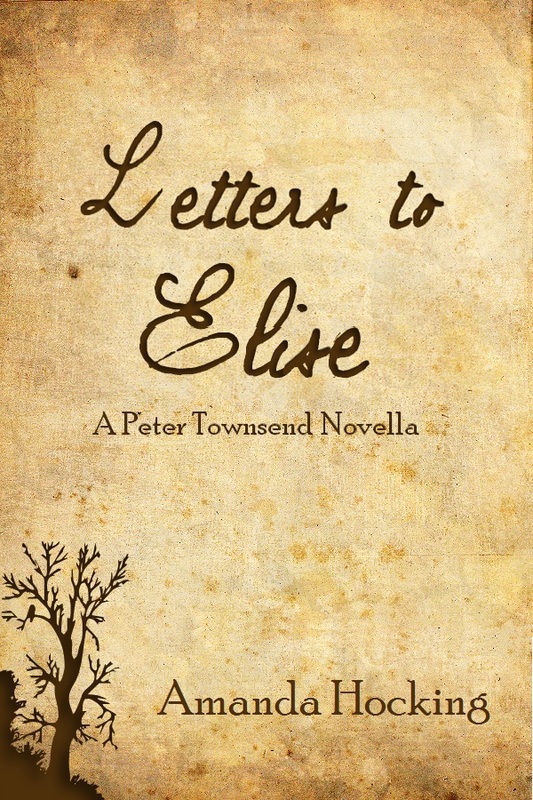 When will Letter to Elise be on in Paper back ? I’m with you. I have been waiting for it to come out as well in any form rather than a kindle version. I loved the book and want to add it to my book collction. The kindle version works but is not the same. When does book 5 come out for My Blood Approves? Can’t wait to read it! Enjoy your time off & Happy Holidays! Have a great holiday! I’m looking forward to reading Switched on the Kindle that I’m getting for Christmas (which I don’t yet officially know about). 🙂 I just left that review. It was truely a great read Amanda! I was just bummed, it only took me like two hours to read. I hope you have some news for us!! I’m excited to hear! Letters to Elise helped relieve my need for Ascend. I think I’m going to re-read MBA series. I hope you have a wonderful time off, enjoy your holiday! You need to be someplace warm with a beach. This sounds great. Can’t wait to read it! Have a good vacation and holiday season! Steph at Fangs Wands & Fairy Dust!